We Help With Commercial Moving! 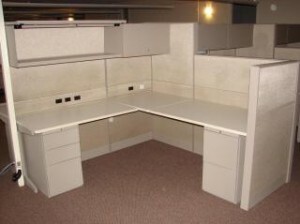 Moving an office space or a business can be a difficult process. Calling local movers ensures a smooth transition with careful planning. We know that the packing, transportation, delivery and setup are core elements of any business move. We plan every one of those core elements into detailed steps and make sure our specialists understand how to best execute each step before we begin. Commercial Moving is often a lengthy and potentially expensive process. Save time, money & hassle by planning ahead with KC Metro Moving. Our standard planning procedure will address all questions & concerns you have, including how to best go about packing as much as possible in advance and arranging for packing supplies to be available to your employees, if necessary. Thorough planning solves potential problems in advance, establishes a floor plan for your delivery, and creates a time table for efficiently completing the entire physical transition. Our team will minimize delays and interruptions during the process to get you back in operation immediately. Our experienced movers are well-equipped to handle any type of commercial move. They are able to efficiently and securely break down cubicles and large furniture items such as desks, shelving units and other furniture systems. We blanket-wrap and protect all items for the transportation and review the delivery plan upon arrival, before we begin the un-load. Our employees are trained in space management and professional re-assembly, so the setup element is no problem. That translates into a more time efficient move, which means an overall lower cost for your business. Contact our Kansas City moving company to get a free estimate.